"You needed makeup remover, right?" Best husband ever. I hadn't even thought of getting makeup remover. Nail polish remover was on my mind, but not these towelettes. I normally don't buy Neutrogena makeup remover towelettes because they can be quite pricey at the usual stores. I've seen them as much as 28 cents per towelette! Costco had this bulk pack of 114 wipes for $14.99, which is like 13 cents each. That's less than half of what I would pay elsewhere! Thanks to my husband's awesome find, I can gently remove my makeup, even the waterproof mascara I cake on every morning. Neutrogena's towelettes are gentle enough for sensitive skin and allergy tested. They're alcohol-free, which is better for your skin. 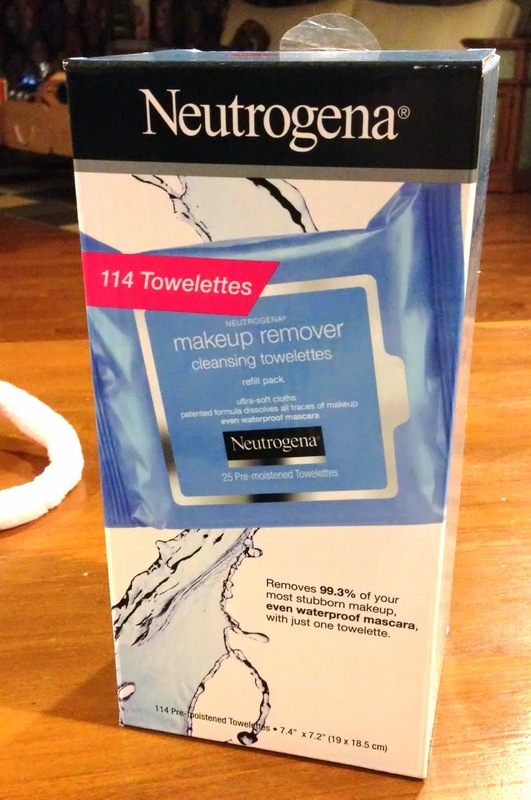 Neutrogena suggests you should use them for morning and night cleaning, but I think they're just too expensive to use two wipes a day. Use them for your before bed routine to quickly take off all the gunk. When you are too tired to pull out the cleansers and washcloths, just grab one of these towelettes instead. No more going to bed with your makeup on!